Negotiating rhetorics and imaginaries of climate resilience. And here is a dark truth of planning for “climate resilience.” Decisions about which areas will be protected are not only about whose safety will be guaranteed; they also involve transnational concerns like reassuring global investors and preserving manufacturing supply chains. In Thailand, thousands of soldiers were dispatched to patrol the floodwalls. They were enforcing resilience. This is both a rational decision and a disturbing vision of our climate-changed future. We are heading toward a world in which the unequal distribution of environmental risks is administered by state violence. How did we get here? Thousands of soldiers were dispatched to patrol the Bangkok floodwalls. They were enforcing resilience. This article looks at four large cities in Southeast Asia facing major climate risks: Jakarta, Manila, Ho Chi Minh City, and Bangkok. Each is home to at least 8 million people living in a low-lying delta threatened by rapid urbanization, sinking ground, and rising seas. As officials seek to make their cities more resilient, they bring in outside planning experts who push “climate-proofing” models 3 developed in Japan and Europe, especially in the Netherlands, which has a long history of advanced water management strategies. 4 Highly engineered, technocratic programs come with readymade slogans, like “making room for the river,” a concept which works well along the banks of the Rhine but can mean mass evictions in the Global South. When “slums” (often a slur for urbanized villages with deep histories) are represented as a blight, to be scraped away with little if any recompense, and their people resettled in untenable locations far from the city center, we must ask: “Whose resilience” is really being promoted? 5 Too often, the rhetoric of climate adaptation is doublespeak for the displacement of poor, informal communities, and an alibi for unsustainable growth. Let’s start in Jakarta, where the “Great Garuda” is the charismatic megafauna of resilience infrastructures. About 40 percent of the city is below sea level, and regular flooding along the highly polluted rivers and colonial canals is a fact of life. In 2007, floods forced 300,000 evacuations and spurred new plans to fortify the city against rising waters. An international team led by the Dutch engineering firms Witteveen+Bos and Grontmij proposed to build the National Capital Integrated Coastal Development, which envisioned artificial islands in the Jakarta Bay anchored by the world’s largest sea wall. The scheme, which resembled a garuda, the mythical bird that is a national symbol of Indonesia, was to be financed largely by private development on the islands, including a new Central Business District housing 1.5 million people. Victor Coenen, the project manager for Witteveen+Bos, described the NCICD as “one big polder,” 7 referencing the Dutch strategy for enclosing land within dikes to artificially control its hydrology. Essentially, Jakarta Bay would be a bathtub, completely separated from the Java Sea; the city’s rivers would drain here and then be pumped out to the ocean. 8 Critics argued that disrupting the hydrology would harm local fisheries, trap polluted waters within the city, and exacerbate flooding outside the wall. In response to these concerns, as well as allegations of corruption, the project was scaled down to a mere(!) 30 km. Some parts of the plan, including onshore dikes, are already under construction. 9 If the bay is polderized, it will be Jakarta’s iron lung, requiring a whole secondary life-support system of pumps and drainage systems. To prevent retention areas from becoming polluted “black lagoons,” 10 the city will need major sanitation upgrades, which are being led by German and Japanese partners. Getting the various projects to play well together, on time and within scope, is an immense challenge. Many kampungs are now piles of rubble. Residents who have not yet been allotted resettlement housing, or who have determined that the off-city sites are unlivable, rebuild homes and shops amid the debris of their former lives. Demolition is the government’s first priority, and little else has been done to improve the flood plain. When I visited Pluit reservoir, one of the pumping areas in the master plan, I found a retention basin resembling a “black lagoon” like the ones Coenen described. Choked by debris from upstream — some of it, no doubt, from demolished kampungs — the reservoir resembled a wet landfill, overrun by water hyacinth. Backhoes precariously balanced on makeshift barges chipped away at detritus to keep the water flowing, while garbage trucks dumped waste directly into the lagoon. In Jakarta the ground is actually sinking faster than the sea is rising. In the next few years, the city will spend $4.4 billion on flood management, including improvements to drainage systems and sewers, tidal control projects, dikes, and reservoirs. 32 No surprise, many of the projects are driven by Dutch partners, who helped draft the Ho Chi Minh City Climate Adaptation Strategy, which strains to compare the Vietnamese city with its adopted cousin, Rotterdam: “both cities are located in the delta of a large river system, have a large port and are an important factor in national GDP.” 33 The focus on these superficial similarities belies vast differences in social, economic, and institutional structures. The document conveniently ignores Vietnam’s large informal population and lack of political freedom, not to imagine the complexities of land tenure in a nation where private property is an emerging concept. The Climate Adaptation Strategy is filled with ideas that may make sense in a Western context but fail to translate smoothly to local conditions. As with plans in other cities, the HCMC Climate Adaptation Strategy is filled with ideas that may make sense in a Western context but fail to translate smoothly to local conditions. For example, it states that dikes should “be located leaving as much room for the river and its flood plains as possible,” 36 which makes sense until you realize that what is “possible” here depends on whether the government admits the land rights of thousands of people. The pilot plan gives District 4 its own small ring dike that neatly eviscerates the island’s perimeter of informal housing while allowing the sale of land for new development atop and around the dikes. The strategy document says this plan was created in collaboration with the community, but a white paper clarifies that workshops were held with government staff and “additional experts” as stakeholders. 37 Since there is no right of free speech in Vietnam, community participation is suspect. The displaced are offered settlement sums that are too low to buy housing near their former communities, and possibly anywhere in the city. That returns us to Bangkok, where there has been little progress toward a comprehensive plan for climate adaptation since the catastrophic floods of 2011. The immediate response was not to build more resilient housing, but rather to harden defensive infrastructures in industrial areas, in order to discourage investors from fleeing the country. 38 Since the city occupies a flood plain, it will inevitably be inundated again; adding concrete just makes the situation worse. Bangkok is constantly fortifying against flood risk created by its very existence, thus exemplifying Ulrich Beck’s framing of a “risk society” in which modern humans are caught in a cycle of mitigating risks they themselves have created. 39 In decades past (and still today in some rural parts of the country) Thai people lived in “amphibious communities”; for example, in “raft houses” which float upwards on stilts during floods, or in villages built on two levels where upper walkways and living quarters can be used during the rainy season. 40 But those adaptive patterns are disappearing, even as climate risk grows. Critics say the ironically named megaproject ‘Chao Phraya for All’ will disconnect people from the river while exacerbating flood risk. Apiwat Ratanawaraha, a lecturer in planning at Chulalongkorn University, told me that the military government (like its predecessors) sees flooding as a “water infrastructure issue,” with little regard for the complex layering of social and spatial factors. 41 In the 1980s, Dutch and Japanese engineers helped build a polder system protected by a 72 km dike, but as the city sprawled, urbanizing districts outside the polder faced flooding more severe than if there had been no dike at all. After heavy floods in 2006, engineers drew a bigger circle, expanding the King’s dike to the boundary of the Bangkok Metropolitan Authority and raising the height in some areas, which only intensified problems outside the line in 2011. Meanwhile, the Chao Phraya River is boxed in by 80 km of floodwalls, and a system of pumps helps mediate the urban water network — so long as the power stays on. While the official policy is to “keep Bangkok dry at any cost,” 42 that is an impossible task, given the city’s hydrology. As these scenarios show, one problem with the now-ubiquitous discourse on “resilient cities” is that there is no shared understanding of what resilience is. We should speak instead of imaginaries of resilience, or the diverse sets of ideas and practices around adapting to environmental risk. These imaginaries reflect political values. Sometimes, the clash of imaginaries is made suddenly visible, as when flood mobs descended on the King’s dike in Bangkok, revealing the tension between the prime minister’s vision of a dry urban center projected outward to global media and the residents’ insistence that their own homes and neighborhoods be protected. But such occasions are rare. More often, conflicts between imaginaries of resilience are obscured by the depoliticized language of bureaucratic reports and climate adaptation projects. There is no shared understanding of what resilience is. We should speak instead of imaginaries of resilience. Poldering has been used successfully since the 13th century in the Netherlands, where polders are managed at the community scale by elected water boards. 47 But the Netherlands is a (relatively) socially homogenous country with strong democratic traditions. 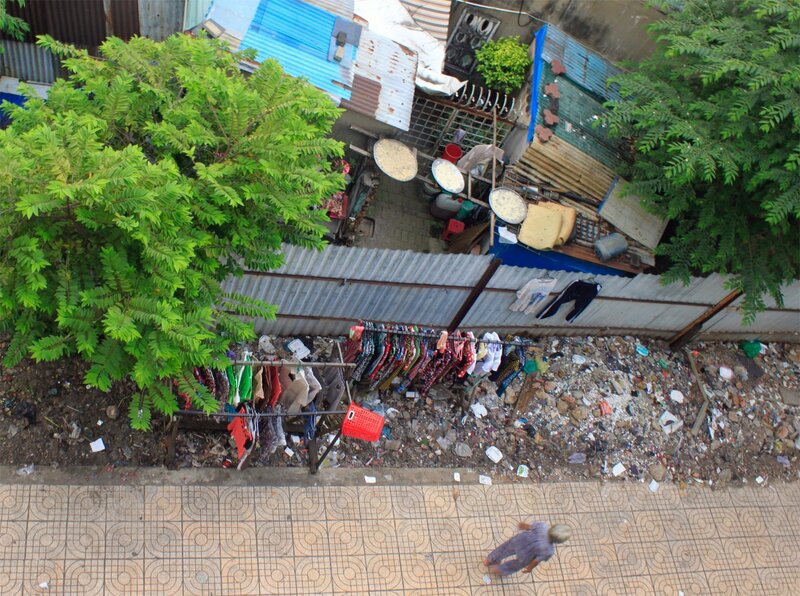 In places like Ho Chi Minh City, “ring dike” strategies are imposed from the top down, without the participation of those whose homes will be inundated or demolished, and so the conditions of success look very different. Polders also require active pumping systems, which only work if water levels remain below the dike tops, and that becomes harder to guarantee as sea levels rise. Failure can be catastrophic; a 1953 flood in the Netherlands killed 1,800 people. From 2005 to 2016, the Netherlands developed the national scheme known as Room for the River (ruimte voor de rivier), which entails moving dikes and dredging new channels along the Rhine and its distributaries to expand the natural flood plain. As the program has matured, it is now in a phase of “international spinoff.” 48 In cities like Jakarta, Manila, and Ho Chi Minh City, local officials and foreign experts have all adopted this rhetoric. When I spoke with Stoutesdijk, he noted that it was not possible to create room for the river in metro Manila, due to local settlement patterns. Rather, he said, relocation projects were focused on removing people from danger zones, i.e. “people who are actually located in the river.” 49 However, “room for the river” is listed as a strategy in World Bank documents associated with the project,50 which indicates that this language — this imaginary of resilience — is being selectively leveraged. The concept of “living with water” is relatively new in the Netherlands, which in addition to its experience with water management has a long history of creating artificial land. In fact, the country went so far as to outlaw coastal erosion or migration, legally fixing the 1990 coastline in perpetuity. 51 The 1953 floods led to the creation of the Deltaworks — a massive feat of engineering which uses mega-storm surge barriers, levees, dikes, sluices, locks, and dams to artificially control the many mouths of the Rhine Delta. But after heavy flooding in 1993 and 1995, Dutch water managers came to understand the limitations of hard systems. Architects bring their own imaginaries to ‘climate-adapted’ projects, which can obscure how these projects create social inequalities. The new thinking is reflected in Rotterdam Climate Proof, 52 a program launched in 2008 that integrates various strategies for living with water, including the widely heralded “water squares,” open public spaces which can double as water retention basins. These models demonstrate a shift “from vertical (dikes) to horizontal (spatial) security provisions.” 53 However, even in the Netherlands these new ideas were contested. Farmers whose lands were to be de-polderized felt that they were being asked to sacrifice their livelihoods. The resilience imaginary “room for the river” disguises the activities of displacement and relocation that the model inherently requires. Compare the American euphemism of “managed retreat,” which conjures an altogether different imaginary, a pseudo-military fallback in the face of a greater enemy. Or the Indonesian framing of river “normalization,” which suggests a return to a healthier riparian state (laughable in the context of Jakarta’s explosive urbanization), while also attempting to normalize — in the Orwellian sense — mass evictions. When I spoke with technical experts on the ground in these four cities, they emphasized the gap between what is attractive and what is needed. Across Southeast Asia, infrastructures (often at incredible scales) are promoted as the answer to climate and environmental risks. Importantly, these projects provide an image of resilience, even if the actual merits are uncertain. But when I spoke with technical experts on the ground in these four cities, they emphasized the gap between what is attractive and what is needed. In Jakarta, for instance, donors and politicians are drawn to the flashy Great Garuda instead of addressing the subsidence that underlies the city’s flood risk. Tangible, visible infrastructure projects are prioritized over underground works like water pipes. International organizations know that “climate change” attracts donor dollars, even though delta cities face more urgent threats, like the weight of construction, groundwater extraction, and the disruption of sedimentation regimes by dams and development. Those cities could be made slightly more resilient tomorrow, through small regulatory actions such as limiting the “dewatering” of construction sites during excavation. But any activity that could hamper growth is anathema to local governments and development agencies. Climate resilience is a “super-wicked problem” with no single solution, and many interventions have unforeseen consequences. 60 It’s easier to muster political will and funding for projects that have been successful elsewhere. In Ho Chi Minh City, Phi believes these dynamics have led to the preference for foreign consultants and project managers, and for “hard systems” (infrastructural) over “soft systems” (social and institutional). Donors like to fund technical solutions that can be achieved quickly and visibly. Soft systems don’t lend themselves as easily to images of resilience. As Pakamas Thinphanga of the Urban Climate Resilience in Southeast Asia partnership observes, “Donors are usually looking at countable outputs. You can see an infrastructure project, but you cannot see ‘knowledge capacity.’” 61 By that, she means local institutions developing local models for climate resilience, conceived as experiments rather than universal models or solutions. 62 Phi acknowledges that many of the foreign models incorporated in Vietnam’s climate change and flood management plans are sound, but implementing them as intended is not possible in the local context. Conflict arises when plans fail to anticipate social realities. He gave the example of government dikes meant to control salinity and increase rice production in the Mekong Delta. Shrimp farmers, who favor higher salinity, broke down the floodwalls. The kinds of climate adaptation projects moving forward in Southeast Asia make sense when you look at how they are financed, with support from global development agencies and private land developers. The Ho Chi Minh City plan, for example, frames “delta dikes” as a “multifunctional measure,” meaning that the “the space on top of the dike, usually including a river view, can be used for urban development.” 63 This sort of “win-win” framing is pervasive, and it favors investor-friendly options over scientifically sound approaches. 64 Cities may end up building “resilience” projects that actually increase risk by encouraging development in vulnerable areas. We should not see the process of creating land for one group (elites) and taking land from another (the poor) as discrete. Too often, global media and institutions measure the impact of disasters by their monetary cost, rather than by the number of lives lost or impaired. We must ask, then, whether climate change adaptation is framed through the same lens. Do resilience projects truly alleviate risks for those who are most vulnerable to floods, storms, and heat? Or do they protect investments and foster speculative development by global elites? When adaptation planning is sponsored by developers or international banks, these categories become blurry. I don’t mean to paint any of these actors as villains; many are working earnestly to improve the built environment through their own resilience imaginaries. But in a world in which dollars often count more than lives, acts of prioritization can become acts of violence. Corporations and developers are almost never asked to sacrifice, to relocate their activities or cede ground. Likewise, in Jakarta, “normalization” actions target kampungs along waterways rather than the other actors who affect water systems. Development upriver has infilled wetlands and flood plains, while deforestation in the highlands has increased runoff. Jakarta’s 170 malls have paved over huge areas 74 and its factories extract much more groundwater than residential users. Subsidence is highest in industrial zones, 75 implicating the city’s growing export-oriented manufacturing industry in its flood risk. Real estate is being traded and developed at a frantic rate, and commercial properties are often bought in cash and below value, a sign of possible money laundering. 76 So owners of formal developments share the responsibility for environmental problems, but only the lives of kampung-dwellers are destroyed by resilience projects. The burdens of adaptation fall on those least able to afford it. River “normalization”: concrete barriers are installed along a demolished kampung in Jakarta. The patterns we see in climate adaptation are rooted in earlier eras of infrastructure-building, such as freeway construction in the United States. In 1956, the National Interstate and Defense Highways Act was considered forward-thinking (as “efficiency” is so often mistaken for a progressive good), and it reshaped the American landscape. But building that infrastructure required clearing or otherwise disrupting large urban areas, and it did immense damage to black and latino neighborhoods like Detroit’s Black Bottom and Los Angeles’s Boyle Heights. Protestors led “freeway revolts,” marching against evictions, but they were successful only in well-resourced neighborhoods like Beverly Hills and the French Quarter. 83 The costs and benefits of freeway infrastructure were distributed unequally. Most planners recognize the errors of mid-century urban renewal. Now they need to have a similar awakening about climate adaptation. Governments created destructive policies, but it was designers who put those ideas into action, and whose high modernist theories provided the conceptual framework. Too often they didn’t understand the local context, and they systematically ignored effects on communities, businesses, and tax bases. 84 Today, most planners and urban designers recognize the errors of mid-century freeway construction and urban renewal, and they have accepted that their disciplines were partly responsible. Now they need to have a similar awakening about climate adaptation projects in the Global South. Development agencies have policies that claim to protect the rights of the disenfranchised, but these are often insufficient. For instance, the World Bank’s Operational Manual on Involuntary Resettlement, while clearly sensitive to the disruptions that displacement can cause, regards involuntary resettlement as a technical eventuality: “Involuntary resettlement should be avoided where feasible, or minimized, exploring all viable alternative project designs.” 88 There is no allowance that eviction might be impossible or immoral. The manual gives special attention to “indigenous groups” and persons with “land-based livelihoods,” but reduces them to a cost calculation. Meanwhile, residents “who have no recognizable legal right or claim to the land they are occupying” are not entitled to compensation for the land they use. In a country like the Philippines, with a contentious history of land grabs in the name of land reform, that is a real problem. Bernarte expressed concern about what happens when the World Bank hands over its project in Manila to local actors who have a history of ignoring oversight regulations. We should also consider the incentives behind foreign consulting contracts. Why are government agencies in the Netherlands so interested in sharing their knowledge on dikes, polders, and “living with water”? The Dutch appear to see climate adaptation expertise as an export economy from which they can benefit. The Rotterdam Climate Change Adaptation Strategy proposes global “spin-off” projects as an aspect of “added value for the economy.” 89 Meanwhile, the National Climate Adaptation Strategy directly states, “Dutch water management expertise represents a valuable export product.” 90 Piet Dircke, whose title is “Global Leader in Water Management” at the Dutch design and consultancy firm Arcadis, takes this one step further: “We are branding this knowledge around the globe, and we are benefiting from it.” 91 While making a profit from exporting such knowledge is not inherently unethical, it could be seen as a kind of “disaster capitalism”-light. As resilience design grows as a sector of the Dutch economy — Arcadis’s revenue now tops €3.4 billion 92 — what is the incentive of these companies to “climate-proof” cities, rendering their services obsolete? It is not possible to ‘proof’ a city against climate change, an inherently uncertain compendium of risks which are constantly being revised upwards. The rhetoric of “climate-proofing” implies that climate change, flooding, and other environmental risks are merely technical problems, with definite solutions. One imagines a physical remedy, like weatherproofing a home. But this is a transparently false claim. It is not possible to “proof” a city against climate change, an inherently uncertain compendium of risks which are constantly being revised upwards. The rhetoric also ignores those left behind in planning processes. When Danish consultants make a preposterous claim like “Ho Chi Minh City is climate proof thanks to Sweco expertise,” 93 they write off those communities that are still inundated by regular floods, and those families pushed to the urban periphery by “adaptation” projects. So what are the alternatives to these top-down, technocratic, socio-spatially uneven plans? Where are the projects that elevate local knowledge or return justice to the displaced? In her doctoral dissertation, “A Political Ecology of Design,” architect Kian Goh uses the term “counterplan” to describe projects that critically “envision transformative social and spatial change as part of environmental resilience.” In Jakarta, kampung-dwellers who were excluded from consultation on the government’s normalization and resettlement plans collaborated with architects and universities to promote alternative visions for kampung futures. In this context, Goh argues, “Design becomes part of a platform for organizing,” 96 a way for communities to visualize and formalize different ways of understanding and constructing the city. These alternatives are needed, because megaprojects at the scale of the Great Garuda negate the possibility of discourse. As geographer Erik Swyngedouw observes, “Any policy intervention, when becoming concretely geographical or ecological, is of necessity a violent act of foreclosure of the democratic political (at least temporarily), of taking one option rather than another, of producing one sort of environment.” 97 While megaprojects present a singular solution to the problem of resilience, counterplans emphasize that climate adaptation is a negotiated space. When neighbors form close relationships, they are attuned to cyclical and seasonal shifts in the environment, and also to the changing needs of others. We need more ‘counterplans’ that give voice to the vulnerable, elevate local knowledge, and reveal alternative models of resilience. In the allied disciplines of design, architecture, and planning, there has been a lack of sustained critical attention to discourses of climate adaptation and resilience. 101 Dutch models are simply accepted as best practices, or even as “portable solutions” that can be applied in any context around the world. We need more “counterplans” that give voice to the vulnerable, elevate local knowledge, and reveal alternative models of resilience. This is not to suggest that “big plans” to mediate environmental risk are never appropriate — inevitably, climate change will require radical conceptions of how we make and re-make our cities. But their conceptualization cannot be left only to leaders and experts. We must understand climate change adaptation as a negotiated terrain, with competing imaginaries of resilience, rather than as a technical solution that leaves no room for contestation. Designers and planners should reflect critically on language that suggests adaptation projects can be win-win for both cities and developers, and recognize that the emerging financialization of adaptation prioritizes growth over collective security. It elides the differences between the small-d development of speculative, for-profit real estate construction, and the big-D Development of modernizing “underdeveloped” societies or spaces. In societies where the forces of global capital have outmaneuvered local politics, megaprojects built under the banner of climate adaptation can overrun those most vulnerable to (and least responsible for) climate change. When planners and designers fall in line with conventional climate-proofing and pro-development narratives, they help erase the communities who are not their direct clients. Technical experts are primed to apply their training to design problems within their scope and ignore much else. But resilience is not fundamentally a technical question. It is social and political. Pre-determined models will not work on this contested ground. Planners and designers must recognize and negotiate the various values, motivations, and “resilience imaginaries” across the diverse cities in which they are needed. Otherwise, they will end up building infrastructures, like those dikes in Bangkok, that have to be guarded at gunpoint. I’d like to thank Claudia Bode, Larry Vale, and Miho Mazereeuw, who helped shape my ideas and provided comments on earlier drafts, and the rest of my colleagues at the MIT Urban Risk Lab, who are putting forward new imaginaries of risk and resilience. Initial research for this project was made possible by research travel funding from MIT-SUTD. Thank you to all of the people who took the time to speak to me, in Bangkok, Jakarta, Manila, and Ho Chi Minh City, without whom this project would not have been possible. And to Josh Wallaert and the Places editors, for their fantastic support and guidance in the making of this article. Richard Meehan, “Thailand Floods 2011: Causes and Prospects from an Insurance Perspective,” self-published paper, 2012 [PDF]; and Alan D. Ziegler, Lim Han She, Chatchai Tantasarin, Nick R. Jachowski, Robert Wasson, “Floods, False Hope, and the Future,” Hydrological Processes 26 (2012), 1748-1750, http://doi.org/cmrm. Patrick Winn, “In Flooded Bangkok, Shades of Hurricane Katrina,” GlobalPost, November 1, 2011. Models popularized in the Netherlands include polders and dikes, as well as modern strategies like “room for the river” (ruimte voor de rivier), which involves clearing land in the floodplain to accommodate changes in river levels; “water squares,” or open spaces which accommodate flooding; and “managed retreat” (de-poldering), which entails relocating people and buildings out of flood-risk zones and removing dikes and other defensive infrastructure. Lawrence J. Vale, “The Politics of Resilient Cities: Whose Resilience and Whose City?,” Building Research and Information 42.2 (2014), 191-201, http://doi.org/cmq4. Isabelle Anguelovski, Linda Shi, Eric Chu, Daniel Gallagher, Kian Goh, Zachary Lamb, Kara Reeve, and Hannah Teicher, “Equity Impacts of Urban Land Use Planning for Climate Adaptation: Critical Perspectives from the Global North and South,” Journal of Planning Education and Research3 (2016), 333-48, http://doi.org/f833rn. Victor Coenen, interview with the author, July 2017. See Philip Sherwell, “$40bn to Save Jakarta: the Story of the Great Garuda,” The Guardian, November 22, 2016; and Michael Kimmelman, “Jakarta Is Sinking So Fast, It Could End Up Underwater,” The New York Times, December 21, 2017. This paragraph was corrected after publication to clarify the status of the project as of March 2018. The previous year, the public works commissioner had announced plans to complete a coastal sea wall, part of the scaled-down project (“Seawall Project to Be Completed This Year,” The Jakarta Post, March 9, 2017); several months later, that wall was reportedly 56 percent complete (“Ministry Resumes Jakarta’s Sea Wall Project,” The Jakarta Post, August 5, 2017). The offshore sea wall and land reclamation projects in the bay were suspended at the time of publication. Republic of Indonesia, Jakarta Urgent Flood Mitigation Project, “Resettlement Policy Framework,” December 15, 2010. [PDF]. See also Eds. Etienne Turpin, Adam Bobbette, and Meredith Miller, Jakarta: Architecture and Adaptation (Jakarta: Universitas Indonesia Press, 2013), 92. Oliver Balch, “Indonesia’s Forest Fires: Everything You Need to Know,” The Guardian, November 11, 2015. See Kian Goh, “A Political Ecology of Design: Contested Visions of Urban Climate Change Adaptation,” dissertation, Massachusetts Institute of Technology (2015), 26. Interviewed in Transformasi Indonesia, “The Reality of the Ciliwung People in Jakarta,” YouTube, December 23, 2014; the interview is at 5:35. Just as Rotterdam is the model for flood prevention, Tokyo sets the world standard for subsidence prevention. In the 1960s, regulators there prohibited groundwater extraction, and subsidence has been near zero for the last half century. In Jakarta, private-sector water network contracts do not adequately serve poor communities, and the unequal distribution of water drives a need for unauthorized wells. The Japan International Cooperation Agency is currently providing support for subsidence prevention and sanitation projects. However, water piping lags behind seawall construction, kampong demolition, and river “normalization.” See Karen Bakker, “Trickle Down? Private Sector Participation and the Pro-Poor Water Supply Debate in Jakarta, Indonesia,” Geoforum 38.5 (2007), 855-68, http://doi.org/dk85t2; and Turpin, et al., 26. Cyclones, typhoons, and hurricanes are all the same type of storm; the name changes based on where the storms occur. Typhoon Ondoy and Super Typhoon Yolanda are elsewhere known as Typhoon Ketsana and Typhoon Haiyan, respectively. The World Bank, “A Paradigm Shift for Guarding Delta Cities Against Floods,” October 8, 2014, emphasis added. Senate of the Philippines, Committee Report No. 73, “Overall Master Plan on Flood Management in the NCR.” [PDF] The fixed distances are based on the 1976 Philippines Water Code, Article 51. Also known as the Nipa hut or Kamalig. Operation Evacuation, or Oplian LIKAS (Lumikas para Iwas Kalamidad At Sakit) is a national government program that predates the World Bank’s flood management plan, although the two now work in concert. While a number of in-city model projects have made the news (e.g. “‘Green’ Houses for Manila’s Informal Settlers,” Rappler.com, February 17, 2014), they appear to be in the minority. See Myra Mabilin, “Force Evictions, Off-city Relocations & Resistance: Ramifications of Neo-Liberal Policies Towards the Philippine Urban Poor,” in Heidi Moksnes and Mia Melin, Eds., Claiming the City: Civil Society Mobilisation by the Urban Poor (Uppsala: Uppsala Universitet, 2014). Urban Poor Associates documents evictions and produces an annual report. Bea Cupin, “Roxas to Informal Settlers: Don’t Wait for Us to Evict You,” Rappler.com, July 25, 2014. Although these evictions were not associated with the Metro Manila Flood Master Plan, they were facilitated by the same organization, the National Housing Authority. See Tomonori Ishioka, “The Habitus without Habitat: the Disconnect Caused by Uprooting during Gentrification in Metro Manila,” Social Theory and Dynamics, Vol. 1 (March 2016), 99-115. Janess Ann J. Ellao, “Montalban Relocatees Commemorate Habagat Flooding,” Bulatlat, August 8, 2013; and Advocates of Science and Technology for the People, “Structural Integrity and Flood Risk in Kasiglahan Village, Montalban, Rizal: A Report,” September 3, 2015. Al Bernarte, interview with the author, July 2017. David Biggs, Fiona Miller, and Chu Thai Hoanh, “The Delta Machine: Water Management in the Vietnamese Mekong Delta in Historical and Contemporary Perspectives,” in Francois Molle, Tira Foran, and Mira Kakonen, Eds., Contested Waterscapes in the Mekong Region: Hydropower, Livelihoods and Governance (London: Routledge, 2014), 203-25. Ho Long Phi, interview with the author, July 2017. Dr. Phi is also a member of the National Advisory Council for Climate Change. “Ho Chi Minh City to Spend $4.4bn to Keep Its Head Above Water,” Global Construction Review, September 30, 2016. “Ho Chi Minh City Assigns Private Investor to Huge Anti-Flooding Project,” Thanh Nien News, December 20, 2015. Paolo Scussolini, Thi Van Thu Tran, Elco Koks, Andres Diaz‐Loaiza, Phi Long Ho, and Ralph Lasage, “Adaptation to Sea Level Rise: A Multidisciplinary Analysis for Ho Chi Minh City, Vietnam,” Water Resources Research, December 14, 2017, http://doi.org/gcxwhw; Le Anh, “HCMC Starts Work on VND10 Trillion Flood Control Project,” The Saigon Times, June 27, 2016. As Ralph Lasage and colleagues report, “Citizens express their concerns mostly through organizations that are authorized and financed by the State.” See Lasage, et al., “Assessment of the Effectiveness of Flood Adaptation Strategies for HCMC,” Natural Hazards and Earth System Sciences, 14.6 (2014), 1441-57, http://doi.org/f59hzs. Of the 804 companies which were damaged in the floods, 449 were Japanese. See Daisuke Komori, Shinichirou Nakamura, Masashi Kiguchi, Asako Nishijima, Dai Yamazaki, Satoshi Suzuki, Akiyuki Kawasaki, Kazuo Oki, and Taikan Oki, “Characteristics of the 2011 Chao Phraya River Flood in Central Thailand,” Hydrological Research Letters 6 (2012), 41-46, http://doi.org/cmrk. Ulrich Beck, Risk Society: Towards a New Modernity (New York: Sage, 1992). Sumet Jumsai, “We Lived with Floods Before; Why Can’t We Do So Again?” The Nation, October 27, 2011. Apiwat Ratanawaraha, interview with the author, November 2016. Louis Lebel, et al. “The Promise of Flood Protection: Dikes and Dams, Drains and Diversions,” in Molle, Foran, and Kakonen, 283. Prateep Ungsongtham Hata, head of the Duang Prateep foundation, interview with the author, November 2017. Luktarn, representative of Friends of the River, correspondence with the author, July 2017. See also the Community Architects Network. Activists with the Chao Phraya Riverside Area Development Alliance, quoted in Anchalee Kongrut, “Chao Phraya Promenade Project Faces Opposition,” Bangkok Post, June 12, 2015. Eli Elinoff, “Concrete and Corruption: Materialising Power and Politics in the Thai Capital,” City5 (2017), 587-96, http://doi.org/cmrn. See also John Pennington, “Chao Phraya Riverside Promenade: Development for the Few, Devastation for the Many,” ASEAN Today, August 9, 2017. Recently, there has been a shift from local water boards toward urban and national-scale water management (e.g. Deltaworks, Ruimte voor de Rivier), but the underlying democratic conditions remain. See, for example, this memorandum. J. Kosterf and R. Hillen, “Combat Erosion By Law Coastal Defence Policy for the Netherlands,” Journal of Coastal Research 11.4 (1995): 1221-1228. Marc Schut, Cees Leeuwis, and Annemarie van Paassen, “Room for the River: Room for Research? The Case of Depoldering De Noordwaard, the Netherlands,” Science and Public Policy 37.8 (October 2010), 611-27, http://doi.org/dqqd9p. See the project description on Sasaki’s website. Erik Harms, Luxury and Rubble: Civility and Dispossession in the New Saigon (Berkeley: University of California Press, 2016), 39. Sasaki, Thủ Thiêm Master Plan Report, 2012. 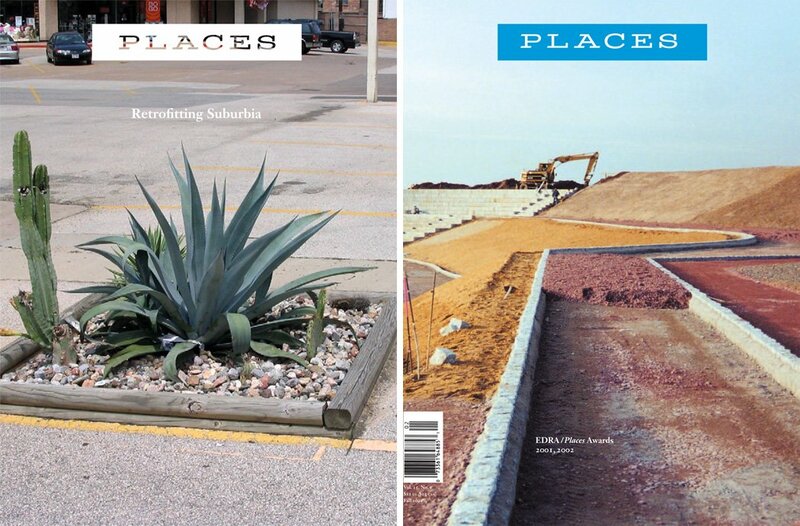 For more on the depoliticized nature of contemporary ecological urbanism, see Greet De Block, “Ecological Infrastructure in a Critical-Historical Perspective: From Engineering ‘Social’ Territory to Encoding ‘Natural’ Topography,” Environment and Planning A 48.2 (2016), 367-390, http://doi.org/f7538h. Kelly Levin, Benjamin Cashore, Steven Bernstein, and Graeme Auld, “Playing it Forward: Path Dependency, Progressive Incrementalism, and the ‘Super Wicked’ Problem of Global Climate Change,” International Studies Association 48th Annual Convention, Chicago, February 2007. Pakamas Thinpanga, interview with the author, October 2016. Sarah Orleans Reed, Richard Friend, Jim Jarvie, Justin Henceroth, Pakamas Thinphanga, Dilip Singh, Phong Tran, and Ratri Sutarto, “Resilience Projects as Experiments: Implementing Climate Change Resilience in Asian Cities,” Climate and Development5 (2015), 469-480, http://doi.org/cmrp. Naomi Klein, This Changes Everything: Capitalism vs. The Climate (New York: Simon and Schuster, 2015). “Solar City Soon to Rise in Manila Bay,” The Manila Times, December 8, 2016. Rodolfo, “On the Geological Hazards that Threaten Existing and Proposed Reclamations of Manila Bay”; Doracie B. Zoleta-Nantes, “Differential Impacts of Flood Hazards Among the Street Children, the Urban Poor and Residents of Wealthy Neighborhoods in Metro Manila, Philippines,” Mitigation and Adaptation Strategies for Global Change 7.3 (2002), 239-66, http://doi.org/fp9p9m. Cal Ordinario, “Dutch Institute Deltares to Lead Crafting of Manila Bay Blueprint,” Business Mirror, January 22, 2018; Deltares, “Dutch Knowledge Used to Develop and Protect Manila Bay,” press release, January 24, 2018. Eddie Kasdiono, “Jakarta, a City with Many Shopping Centers,” The Jakarta Post, October 31, 2014. Abdou Maliq Simone discusses this in Jakarta: Architecture and Adaptation, op cit., 86: “There are 104 shopping malls in Jakarta, and at least 40 of them were built and paid for with cash. … Another way to tell are the things that get built and are sold eight months later at 60 percent of the construction cost— these buildings were not built as sound investments but rather as a way to ‘clean’ money.” And note the rise from 104 malls in 2007 to an estimated 170 in 2014. Christopher Silver, Planning the Megacity: Jakarta in the Twentieth Century (London: Routledge, 2007), 202-08. Nancy Kwak, “Manila’s ‘Danger Areas,’” Places Journal, February 2015, https://doi.org/10.22269/150223. 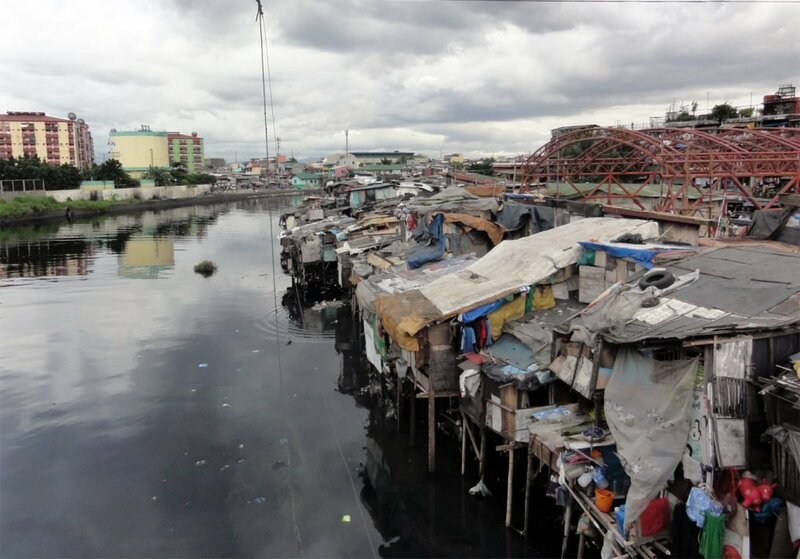 Emilsson Oñate, “Pasig River Rehabilitation and the Urban Poor A Case Study of Informal Settlers’ Fight to Stay in Manila,” master’s thesis, University of Gothenburg, 2015. Christopher John Chanco, “Squatters of Capital: Regimes of Dispossession and the Production of Subaltern Sites in Urban Land conflicts in the Philippines,” conference paper, Land grabbing, conflict and agrarian‐environmental transformations: perspectives from East and Southeast Asia, June 5-6, 2015, Chiang Mai University. Eric Avila, “LA’s Invisible Freeway Revolt: The Cultural Politics of Fighting Freeways,” Journal of Urban History 40.5 (2014), 831-42, http:/doi.org/cmrq. Lawrence J. Vale, From the Puritans to the Projects: Public Housing and Public Neighbors (Cambridge: Harvard University Press, 2007). Reporters Without Borders, 2017 Word Press Freedom Index. For more on “mobile consultants,” see Anders Blok, “Assembling Urban Riskscapes: Climate Adaptation, Scales of change and the Politics of Expertise in Surat, India,” City 20.4 (2016), 602-618, http://doi.org/cmq5. Donna C. Mehos and Suzanne M. Moon, “The Uses of Portability: Circulating Experts in the Technopolitics of Cold War and Decolonization,” in Gabrielle Hecht, Ed., Entangled Geographies: Empire and Technopolitics in the Global Cold War (Cambridge: MIT Press, 2011), 43-74. Thailand is one of a handful of countries that was never colonized. Ananya Roy, “The Infrastructure of Assent: Professions in the Age of Trumpism,” The Avery Review 21, January 20, 2017. Goh, “A Political Ecology of Design,” 213, 250. Erik Swyngedouw, “Depoliticized Environments: The End of Nature, Climate Change and the Post-Political Condition,” Royal Institute of Philosophy Supplements 69 (2011), 253-74, http://doi.org/c49428. Aurora Almendral, “After Years of Living as Squatters, These Filipino Neighbors Fought for Nice, New Homes in Their Community—And Won,” Yes Magazine, May 7, 2015. Emma Porio, “Vulnerability, Adaptation, and Resilience to Floods and Climate Change-Related Risks among Marginal, Riverine Communities in Metro Manila,” Asian Journal of Social Science 4 (2011): 425-45. Danai Thaitakoo and Brian McGrath, “Bangkok Liquid Perception: Waterscape Urbanism in the Chao Phraya River Delta and Implications to Climate Change Adaptation,” Water Communities (Emerald Group, 2010), 35-50. While there is a lack of critical treatment of climate adaptation in popular design discourse and planning practice, the academic literature is growing, with recent papers on “negotiated resilience” and the “political economy of climate adaptation.” These works critique what Swyngedouw has identified as “post-political” decision-making around a climate change consensus that is “radically reactionary, one that forestalls the articulation of divergent, conflicting, and alternative trajectories of future environmental possibilities and assemblages.” See Leila M. Harris, Eric K. Chu, and Gina Ziervogel, “Negotiated Resilience,” Resilience (2017), 1-19, http://doi.org/cmrr; Benjamin K. Sovacool, Björn-Ola Linnér, and Michael E. Goodsite, “The Political Economy of Climate Adaptation,” Nature Climate Change 7 (2015), 616-618, http://doi.org/f3np59; and Swyngedouw, op cit. New York’s chief urban designer describes the frightening onset and complicated aftermath of Hurricane Sandy, from the vantage of his home. An architect describes a multi-year effort to rebuild neighborhoods in post-Katrina New Orleans — and the limited results to date. As the Gulf Coast has been hit by one hurricane after another, its residents have gained a rigorous — if unwilling — place-based education. But the toughest test is still to come. Lizzie Yarina is a designer and researcher with the MIT Urban Risk Lab.